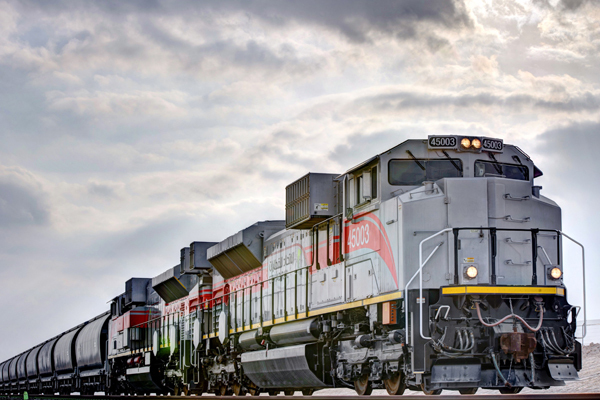 Etihad Rail, the developer the developer and operator of the UAE's integrated railway network, has invited prequalification bids from leading contractors to provide design-and-build services for freight facilities across its entire network. Upon completion, the rail network, which will cater to both freight and passengers, will span approximately 1,200 km across the UAE. It will be built in phases to link the principal centres of population and industry of the UAE, as well as to form a vital part of the planned GCC railway network linking the GCC states: Bahrain, Kuwait, Oman, Saudi Arabia and UAE. The first stage is the 264-km route for transporting sulphur from its sources at Shah and Habshan, in granulated form, to its point of export at Ruwais. The services between Habshan and Ruwais have been operational since January 2016. The second stage will connect the railway to Mussafah, the Khalifa and Jebel Ali ports, and the Saudi and Omani borders. During this stage, the network will be extended by 605 km. The network will also form a vital part of the GCC railway network, linking the UAE to Saudi Arabia via Ghweifat in the west and Oman via Al Ain in the east. Etihad Rail said the contractors must have vast experience in bulk materials handling; intermodal loading/unloading sidings; all associated earthworks, trackwork, besides construction of structures including bridges, underpasses and tunnels. Also these firms must have experience in the field of rail systems and signalling, facilities operation systems besides developing internal and external facility roads, drainage structures and utilities including connection to the services, the company said in its notification.